Share this post as many times as you wish in social media for a chance to win a copy of the book, a pod of Wrapture all natural, no rinse delicate wash and a hank of Be So Fine Yarn! Winner will be announced on Monday, May 9, 2016! 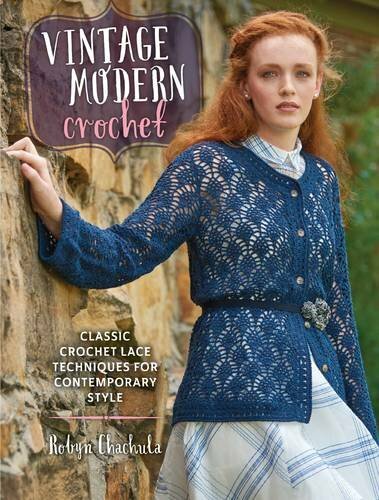 The Ter Berge Shawl is designed by Kristin Omdahl exclusively for Robyn Chachula's newest book, "Modern Vintage Crochet". This shawl is crocheted with onlyone skein of Be So Fine Yarn in Lavender's First Romance colorway. Use coupon code FREE SHIPPING in Kristin's yarn shop. Watch this video to learn the really cool and unusual technique Kristin developed to turn bruges lace into a spiral. 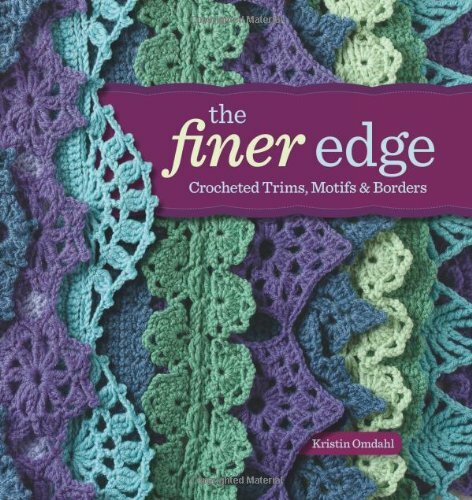 This gorgeous shawl is comprised of several sizes of lace medallions with this clever and deceptively simple technique.